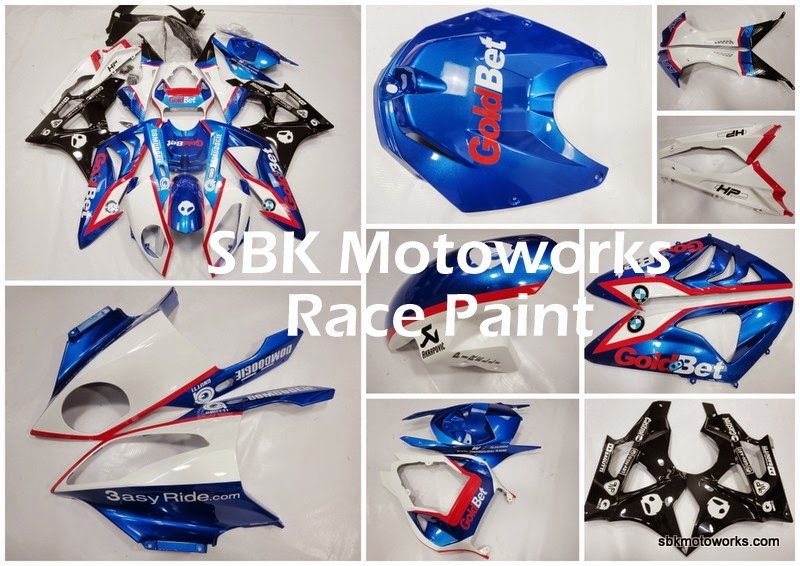 Back to fairing works, this is the new latest design for S1000RR with red version of GoldBet Team, we paint according the request from the customer. This is from one of our pre-order in May. At SBK Motoworks, we can customised the design for you. All the unpainted version of this S1000RR are all ready in stock, painting will start after your confirmation. All processes were done in one roof of our factory. Thank you for believe in our works! BMW S1000RR 2012-2014 New replicas in collection!